The release of Pocket Rumble on Switch has been a long time coming. It was originally over a year ago, way back during the first Nindies Showcase. 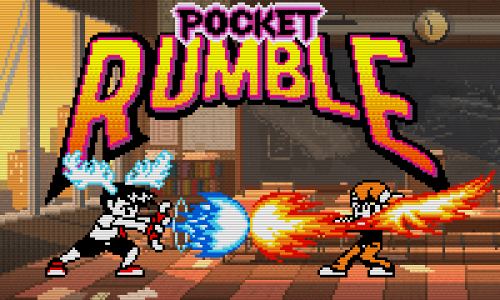 After a lengthy delay, Pocket Rumble’s Switch version is finally complete. It has passed Nintendo’s internal check systems. We’ll be seeing it before the end of July. It’s been a really long time since we’ve been in touch and we want to apologize for that but things are finally moving forward! Below is a video update about the current state of affairs. 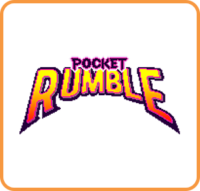 The short version is that the Nintendo Switch port of Pocket Rumble is done and will be releasing sometime between now and the end of July! We’re currently still in the process of selecting an exact release date, and we’ll let you know as soon as we do. All backers will be receiving a key for a free Nintendo Switch copy in addition to the Steam copy you already have.We want to apologize for the long delays by offering you all something as a token of our gratitude for your patience and support, and the Switch port is what we’ve been hard at work on this whole time. To receive your Nintendo Switch key, forward a copy of your Kickstarter pledge confirmation to [email protected] and specify the region you’ll need a key for. And since the Switch port is done, we’re now moving all of our resources back to developing new content on Steam, so expect to see new bosses and updates soon! When we have a final release date for Pocket Rumble on Switch, we’ll be sure to let you know.